From confirming cargoes meet transportation requirements to monitoring structural integrity, load cells play a pivotal role in our lives. They precisely and accurately weigh or measure inputs, outputs and applied forces, helping improve production and safety and controls. From boutique operations to large-scale production facilities, off-the-shelf products to custom designs, you can trust Coti Global to meet your load cell needs. 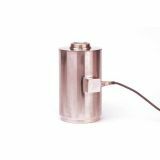 Our compression-canister load cell range has been developed to suit a variety of weighing tasks. Our single ended beams are available in alloy, stainless and stainless steel welded versions. Can be used in a number of applications. Our canister style load cells are robust and often hermetically sealed construction with spherical radius on one or both ends. Ideal for single- or multiple-cell applications. 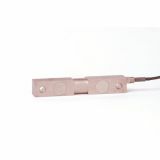 Also known as brick load cells, they are often mounted directly under a platform used to weigh loads. 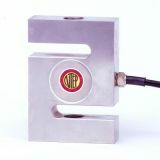 Single-point load cells gauge and monitor compression. Double-ended beam load cells measure the force of weight applied to its center. These are often utilized in heavy-duty applications. S-beam load cells can measure both tension and compression, and are prized for their performance and versatility. Wide range of capacities available.